HUGE goings on in the world of gymnastics today! But as exciting as event finals was, let's talk about Vanessa Ferrari. Specifically, Vanessa Ferrari's delightfully awful leotard. Big props to VF for shaking things up! Italy is known for fashion, and thinking outside of the box can yield fantastic results. Unfortunately no one achieved fantastic in the making of this beauty, but at least we all had something to interesting to look at. This is a photo of my computer screen, pardon the quality, but in a panic I had to grab this image quick. 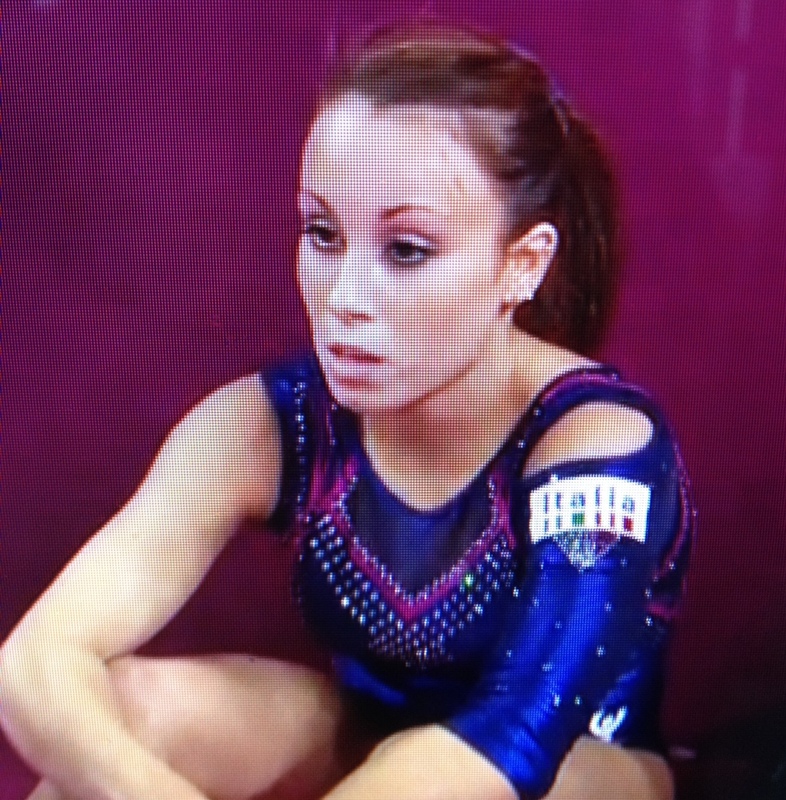 In the end, she's an awesome gymnast. And if I were an Olympian, I'd wear whatever the heck I wanted, too. Brava, Vanessa!